The Front de libération du Québec (FLQ; "Quebec Liberation Front"; French pronunciation: ​[fʁɔ̃ də libeʁasjɔ̃ dy kebɛk]) was a separatist and Marxist-Leninist terrorist and paramilitary group in Quebec. Founded in the early 1960s, it was a militant part of the Quebec sovereignty movement. It conducted a number of attacks between 1963 and 1970, which totalled over 160 violent incidents and killed eight people and injured many more. These attacks culminated with the bombing of the Montreal Stock Exchange in 1969, and with the October Crisis in 1970, which began with the kidnapping of British Trade Commissioner James Cross. In the subsequent negotiations, Quebec Labour Minister Pierre Laporte was kidnapped and murdered by a cell of the FLQ. Public outcry and a federal crackdown subsequently ended the crisis and resulted in a drastic loss of support, with a small number of FLQ members being granted refuge in Cuba. FLQ members practised propaganda of the deed and issued declarations that called for a socialist insurrection against oppressors identified with "Anglo-Saxon" imperialism, the overthrow of the Quebec government, the independence of Quebec from Canada and the establishment of a French-speaking Quebecer "workers' society". It gained the support of many left-leaning students, teachers and academics up to 1970, who engaged in public strikes in solidarity with FLQ during the October crisis. After the kidnapping of Cross, nearly 1,000 students at Université de Montréal signed a petition supporting the FLQ manifesto. This public support largely ended after the group announced they had executed Laporte, in a public communique that ended with an insult of the victim. Nonetheless, they continued to receive the support of other far-left organizations such as the Communist Party of Canada and the League for Socialist Action. The KGB, which had established contact with the FLQ before 1970, later forged documents to portray them as a CIA false flag operation, a story that gained limited traction among academic sources before declassified Soviet archives revealed the ruse. By the early 1980s, most of the imprisoned FLQ members had been paroled or released. Members and sympathizers of the group were called "Felquistes" (French pronunciation: ​[fɛlˈkist]), a word coined from the French pronunciation of the letters FLQ. Some of the members were organized and trained by Georges Schoeters, a Belgian revolutionary. FLQ members Normand Roy and Michel Lambert received guerrilla training from the Palestine Liberation Organization in Jordan. The FLQ was a loose association operating as a clandestine cell system. Various cells emerged over time: the Viger Cell founded by Robert Comeau, history professor at the Université du Québec à Montréal; the Dieppe Cell; the Louis Riel Cell; the Nelson Cell; the Saint-Denis Cell; the Liberation Cell; and the Chénier Cell. The last two of these cells were involved in what became known as the October Crisis. From 1963 to 1970, the FLQ committed over 160 violent actions, including bombings, bank hold-ups, kidnappings, at least three killings by FLQ bombs and two killings by gunfire. In 1966 Revolutionary Strategy and the Role of the Avant-Garde was prepared by the FLQ, outlining their long-term strategy of successive waves of robberies, violence, bombings, and kidnappings, culminating in revolution. The history of the FLQ is sometimes described as a series of "waves". 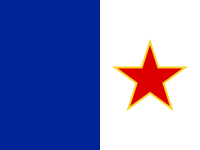 The ideology was based on an extreme form of Quebec nationalism that denounced Anglo exploitation and control of Quebec, combined with Marxist-Leninist ideas and arguments. The first formation of the FLQ was composed of members of the Rassemblement pour l'Indépendance Nationale, some of whom wished for faster action. This group formed the Réseau de Résistance, or Resistance Network. This group eventually broke up, forming the FLQ. The group was recruited among various sources, eventually recruiting one Mario Bachand. The FLQ commenced their attacks on March 7, 1963. Some of their more notable crimes include bombing a railway (by which then–Prime Minister of Canada John Diefenbaker had arranged to travel within the week). Three Molotov cocktails planted at Victoria Rifles Armory, the Royal Montreal Regiment, and at the 4th Battalion Royal 22nd Regiment (in Châteauguay). Little to no damage done. "All the symbols and colonial institutions (federal), in particular the RCMP and the armed forces. "All the information media of the colonial language (English) which holds us in contempt. "All enterprises and commercial establishments which practice discrimination against Quebec people, which do not use French as their primary language, which have signs in the colonial language (English). "All the factories that discriminate against French-speaking workers"
A saboteur with a bomb caused minor damage to a 25-inch (640 mm) section of rail between Montreal and Quebec City in the town of Lemieux. It appeared to go unnoticed as traffic continued on the rail line. An engineer eventually called in a "rough spot" that needed repair and a maintenance crew was immediately dispatched for repairs in time for Prime Minister Diefenbaker to travel through shortly after. The words Québec libre and the letters "FLQ" are written on the official residence of the Quebec lieutenant governor, Paul Comtois. Shortly before 1:00 am, an individual claiming to be a member of the FLQ called the Canadian Press and announced "Operation Jean Lesage has started." Soon thereafter a stick of dynamite exploded outside the RCMP headquarters. No one was injured. At approximately 11:45 pm a bomb detonated at the Canadian Army Recruiting Centre in Montreal. Furnaceman, William Vincent O'Neill (aged 65) was killed instantly. In the early morning 11 mailboxes in Westmount were planted with time bombs. Five exploded at 3 am. Nine of the remaining ten bombs were successfully dismantled. One bomb, planted by Jean-Denis Lamoureux, critically wounded a Canadian military bomb disposal expert, Walter Leja. One car was completely destroyed and three others severely damaged when a car bomb detonated outside the Corps of Royal Canadian Electrical and Mechanical Engineers (RCEME) building in what was the largest explosion at the hands of the FLQ. No one was injured. By June 1, 1963, eight members of the FLQ were arrested in a surprise raid. In 1963, Gabriel Hudon and Raymond Villeneuve were sentenced to 12 years in prison after their bomb killed William V. O'Neill, a furnaceman at Montreal's Canadian Army Recruiting Centre. Their targets also included English-owned businesses, banks, McGill University, Loyola College and the Black Watch Armoury. Charles Gagnon and Pierre Vallières combined their "Popular Liberation Movement" with the FLQ in July 1965. This also combined several other pro-sovereignty groups. This may have led to a more socialist FLQ attitude. This new group robbed a New Democratic Party office and a radio station for supplies, many of which were used to write La Cognée, the revolutionary paper published by the FLQ during the many years of activity. It translates to "The Hit (Knock)". The 4th wave saw the increasing use of explosives, the production styles of which were sometimes detailed in La Cognée. A 15-year-old FLQ member, Jean Corbo, was killed by his own explosive, and a 64-year-old female office worker died during the FLQ bombing of the shoe factory Lagrenade. On May 5, 1969, FLQ members Jean-Pierre Charette and Alain Alard, who had previously fled from Canada to the U.S., hijacked a National Airlines Boeing 727 in New York, and diverted it to Cuba. The KGB was concerned that the FLQ's attacks could be linked to the Soviet Union. It designed a disinformation campaign and forged documents to portray the FLQ as a CIA false flag operation. A photocopy of the forged "CIA document" was "leaked" to the Montreal Star in September 1971. The operation was so successful that Canada's prime minister believed that the CIA had conducted operations in Canada. The story was still quoted in the 1990s, even among academic authors. On October 5, 1970, members of the FLQ's Liberation Cell kidnapped James Richard Cross, the British Trade Commissioner, as he was leaving his home for work. Shortly afterwards, on October 10, the Chénier Cell kidnapped the Minister of Labour and Vice-Premier of Quebec, Pierre Laporte. Laporte was coming from a meeting with others where they had discussed the demands of the FLQ. After the demands were denied, Pierre Laporte was immediately killed by the FLQ (although it is still not known how the FLQ knew of the decision so quickly). The FLQ members André Lessard, Pierre Marcil, and Réjean Tremblay, who were out on bail at the time of the kidnappings, should be allowed to leave Quebec if they wanted. All family members of the "political prisoners" and those out on bail should be able to join them outside of Quebec. Canada's Prime Minister Pierre Elliot Trudeau, in his statement to the press during the October Crisis, admitted that the radicalism occurring in Quebec at this time had bred out of social unease due to imperfect legislation. "The government has pledged that it will introduce legislation which deals not only with the symptoms but with the social causes which often underlie or serve as an excuse for crime and disorder." (Pierre Trudeau, CBC interview). However, despite this admission, Trudeau declared in his statement to the press that in order to deal with the unruly radicals or "revolutionaries," the federal government would invoke the War Measures Act, the only time the country used these powers during peacetime. Invoking the War Measures Act was a politically risky move for Trudeau because the Act overrode fundamental rights and privileges enumerated in the common law and in the Canadian Bill of Rights; therefore, there was a strong possibility that Trudeau might have lost popular support among Quebec voters. However, this did not occur. In an impromptu interview with Tim Ralfe and Peter Reilly on the steps of Parliament, Pierre Trudeau, responding to a question of how extreme his implementation of the War Measures Act would be, Trudeau answered, "Well, just watch me." This line has become a part of Trudeau’s legacy. In late December, four weeks after the kidnappers of James Cross were found, Paul Rose and the kidnappers and murderers of Pierre Laporte were found hiding in a country farmhouse. They were tried and convicted for kidnapping and murder. Police deterrence and flagging public support contributed to the decline of the FLQ. By 1971, the Montreal Police antiterrorist unit had highly placed informants within the FLQ organization, and on October 4 and 5, 1971, the first anniversary of the October Crisis, the Montreal Police arrested four FLQ members. The antiterrorism unit arrested nearly two dozen FLQ operatives in 13 months. The waves of arrests undoubtedly had a deterring effect on any would-be FLQ supporters. The support and political capacity of the FLQ changed drastically during the 1970s. The FLQ immediately lost public support after the October crisis and the murder of Laporte. The general public overwhelmingly supported the emergency powers and the presence of the military in Quebec. The Parti Québécois (PQ) warned young activists against joining "childish cells in a fruitless revolutionary adventurism which might cost them their future and even their lives". Laporte's murder marked a crossroads in the political history of the FLQ. It helped sway public opinion towards more conventional forms of political participation and drove up popular support for the PQ. The rise of the PQ attracted both active and would-be participants away from the dangerous activities of the FLQ. In December 1971, Pierre Vallières emerged after three years in hiding to announce that he was joining the PQ. In justifying his decision he described the FLQ as a "shock group" whose continued activities would only play into the hands of the forces of repression against which they were no match. Those members of the FLQ who had fled began returning to Canada from late 1971 until 1982, and most received light sentences for their offences. Demers, Robert. "Memories of October 70 (2010)". Jenish D'Arcy, The Making of the October Crisis, Canada's Long Nightmare of Terrorism at the Hands of the FLQ. Doubleday Canada, 2018. ^ "FLQ". www.canadahistory.com. Retrieved 2018-09-18. ^ Weston, Lorne (1989). "THE FLQ: THE LIFE AND TIMES OF A TERRORIST ORGANIZATION". Department of Political Science, McGill University: 184 – via StreamGate. ^ "Front de Liberation du Quebec (FLQ) | Terrorist Groups | TRAC". www.trackingterrorism.org. Retrieved 2018-09-18. ^ Gérard Pelletier. The October crisis. McClelland and Stewart, 1971. Pp. 55. ^ "www.canadiansoldiers.com". www.canadiansoldiers.com. Retrieved 2 April 2018. ^ Kelly, Stephen R. (1995). "The FLQ, A Canadian Insurgency" (PDF). National Defense University, National War College: 17 – via Defense Technical Information Center. ^ "The 1970 October Crisis: Unanswered questions remain 45 years later". Montreal Gazette. 2015-10-06. Retrieved 2018-09-18. ^ Andrew, Christopher; Mitrokhin, Vasili (1999). The Sword and the Shield: The Mitrokhin Archive and the Secret History of the KGB. Basic Books. p. 378. ISBN 0-465-00310-9. ^ "Books in Canada - Review". www.booksincanada.com. Retrieved 2 April 2018. ^ Cameron I. Crouch (2009). Managing Terrorism and Insurgency: Regeneration, Recruitment and Attrition. Routledge. pp. 35–36. ^ "Separatist Group Hits at Army". Montreal Gazette, March 9, 1963. Retrieved 11 April 2014. ^ "PM's train delayed". Montreal Gazette, April 1, 1963. Retrieved 11 April 2014. ^ "Police Clamp Down on FLQ". Montreal Gazette, April 13, 1963. Retrieved 11 April 2014. ^ "FLQ Terrorists Blamed for Bomb Death". Montreal Gazette, April 22, 1963. Retrieved 11 April 2014. ^ "Leakage Takes Lead in FLQ Hunt". Montreal Gazette, May 21, 1963. Retrieved 12 April 2014. ^ Fong, William (24 October 2008). J.W. McConnell: Financier, Philanthropist, Patriot. McGill-Queen's Press. p. 573. ISBN 9780773532700. Retrieved 13 August 2012. ^ Allard (Alain). La Mémoire du Québec (French). Accessed 25 Apr. 2016. ^ Charette (Pierre). La Mémoire du Québec (French). Accessed 25 Apr. 2016. ^ McLoughlin, Michael. Last Stop, Paris: The Assassination of Mario Bachand and the Death of the FLQ. Penguin Group, 1998. ISBN 0-670-88196-1. ^ Loomis, Dan G. Not much glory: Quelling the FLQ. 1984. Deneau Publishing. ISBN 0-88879-118-6. ^ Fournier, Louis, edited by Edward Baxter. FLQ: Histoire d’un mouvement clandestin. Lanctôt Éditeur. 1998. ISBN 2-89485-073-5. ^ "CBC Archives". cbc.ca. Retrieved 2 April 2018. This page was last edited on 9 April 2019, at 17:51 (UTC).